You don’t have to be an expert at design to create a professional book with us – our templates and system take all of the hard work out of creating a yearbook, making sure that your books are beautifully put together with minimal fuss. But our system also offers you complete freedom to import custom pages into your book – there’s no limit to what kind of pages you can include. In the past, editors have used the custom page feature to upload super unique poll result pages, subject pages, and even anonymous ‘Confessions’ pages. But where can you find inspiration for your custom page design? It’s a big internet out there, and it’s hard to know where to look. We’ve tracked down the best places to find tips and tricks to upgrade your book from everyday to extraordinary. Completely full of inspiring colour combinations, page layout ideas and custom page examples, Pinterest contains a goldmine of creative tips for your custom pages. Follow our boards here for a roundup of the most imaginative book ideas and layouts that we’ve seen, and search ‘Book Design’ for cover ideas, pages that could be used as custom section dividers and really unique layouts for your custom pages. If you like what you find, sign up and create a yearbook board to store all of your resources and inspiration in one place. Collaborate with your yearbook committee, and work together on a shared yearbook board – you can see what everyone’s been inspired by in one place, and identify any ideas that you have in common. Our top tip for finding inspiration on Pinterest? Don’t search for ‘Yearbook’ directly – the results can be a little overwhelming, and not always super relevant! Designspiration is also hugely helpful – like Pinterest but for designers, and with a lot of the irrelevant results filtered out. If you want to get inspired by the professionals, this is the place to look – sign up and create a board! 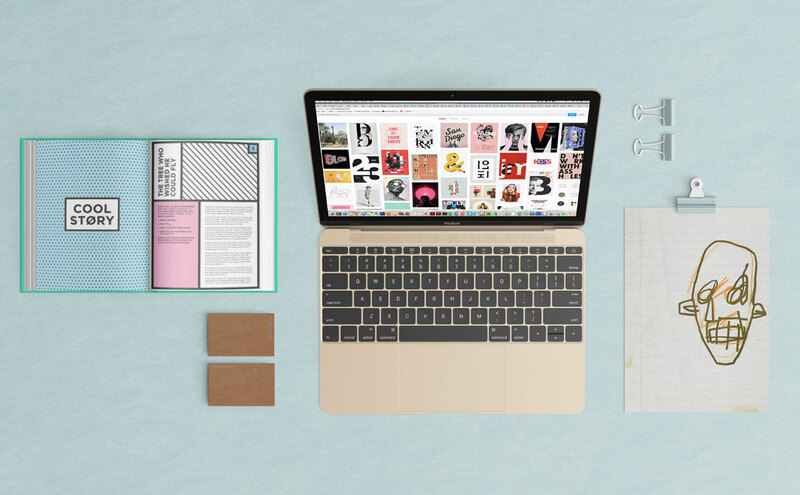 Blogs can be a great resource for finding tons of yearbook inspiration (and we’re not just trying to plug our own). 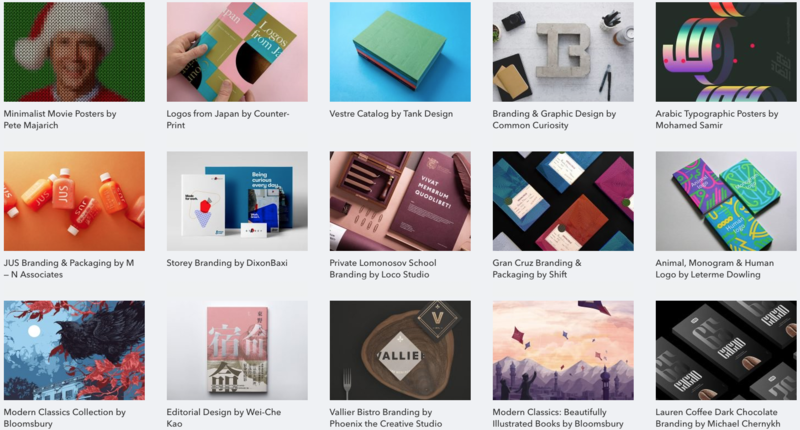 Design blogs are a great place to look if you’re hunting for unique custom page ideas, or if you’re researching layout ideas or colour schemes for your book. 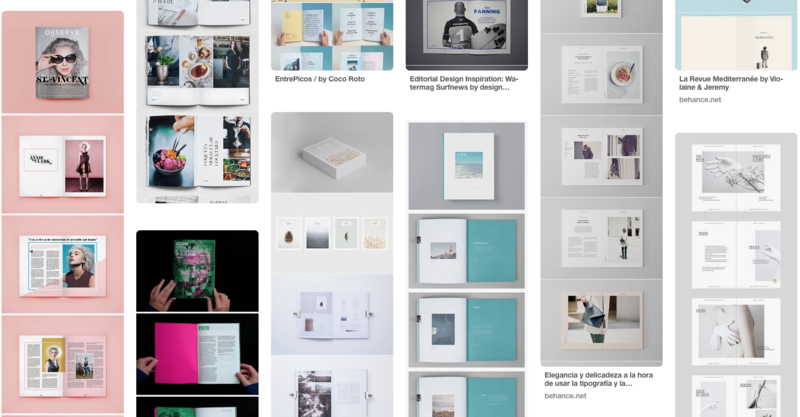 Some of our favourites are the ‘Print’ pages of The Inspiration Grid and the appropriately named Book Design Blog. Both are full of examples of great design elements that could be brought into your custom pages, without being too overwhelmingly full of information. If there’s a budding designer in your year, send them the link of pages and elements you like – they might be able to recreate something similar in InDesign or Photoshop. Did you know you can follow hashtags on Instagram? If you’re working as an editor, as well as following #yearbookmachine, you should be following #yearbook and #bookdesign. Just search for the tag and hit follow at the top of the screen, and there’ll be a daily dose of yearbook inspiration in your Instagram feed every day. 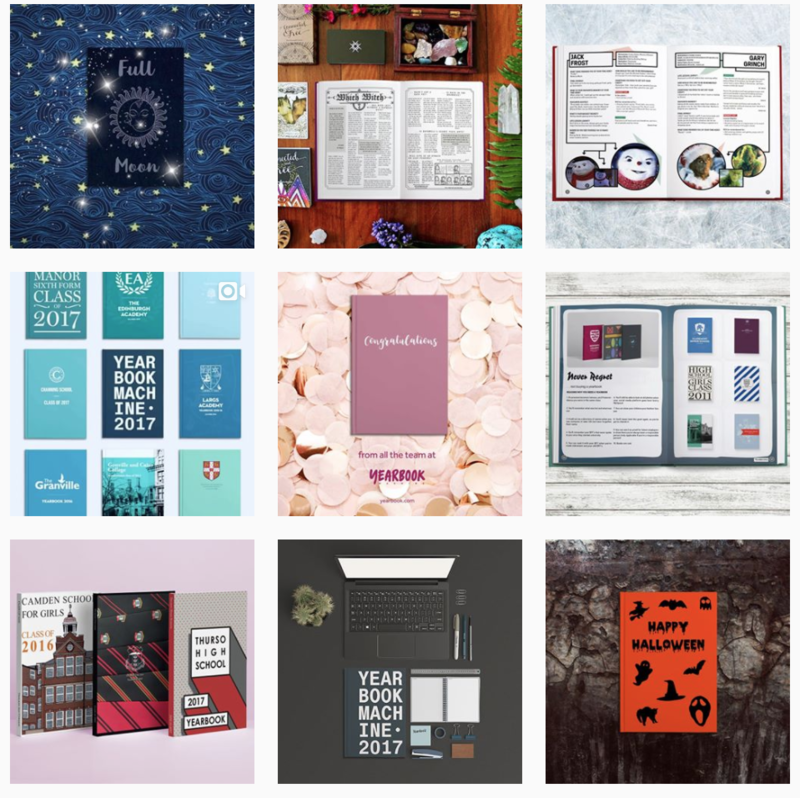 We also post a roundup of our favourite custom covers and yearbook highlights frequently at @yearbookmachine – follow us for yearbook inspiration all year round, DM us your system questions and show us your creations – we love to see what you have made! Don’t forget to look at what’s around you for fresh ideas! If your school has made a book with us before, last year’s book can be a great resource to draw on for this year’s book. See if you can get hold of a copy from one of the older students and have a good look through. What do you like about the book’s custom pages? What would you change? And remember – the best ideas you have could be the ones around you! Look around your school for motifs and colours, incorporate pictures or illustrations of your school building and classrooms, and ask other students what they would include. Making the project more collaborative can be super inspiring – someone could have an idea for a custom page or colour scheme that could make your book even better.